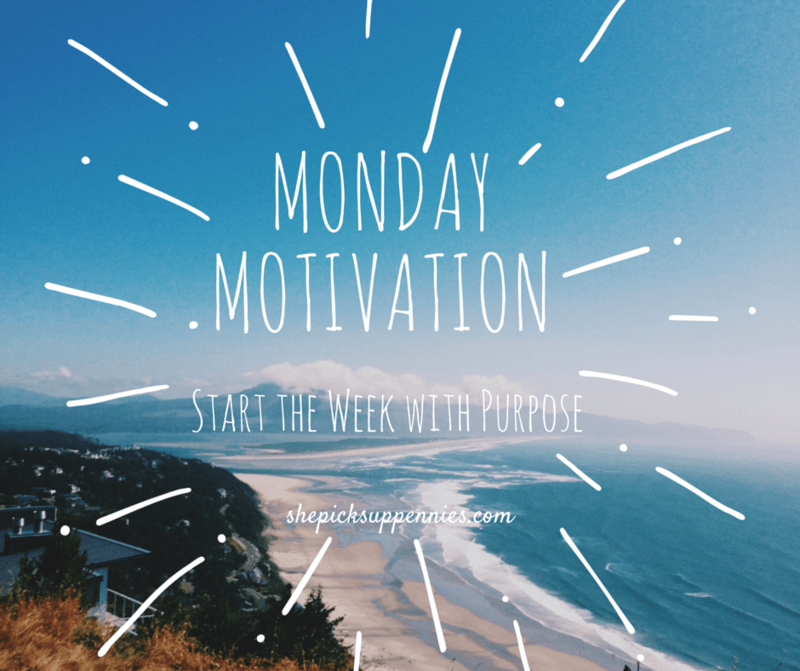 Each Monday, I post a curated list of blogs, podcasts, recipes, books, and activities that will get me motivated throughout the week. Click – This post from Michelle at Making Sense of Cents provided the motivation for me to bring this blog to life. I had tinkered on other sites for a while, but the simple steps that she outlined convinced me that it was time to go live here. Listen – This podcast from Brooke McAlary at Slow Your Home is chalk full of different ideas to make more time for you in your life. As someone who is working harder to be more intentional with my day-to-day living, the conversations she has with different minimalists, trailblazers, and other outside-the-box thinkers are really inspiring. Cook – Mr. P and I have a bumper crop of zuccihini thanks to all the rain we got early in the growing season this year. I’ve mastered the art of grilled zucchini and sauteed zucchini for a red sauce, but I’m really looking forward to tackling zucchini bread and this squash casserole. Read – As someone who has always taken things far too personally and has always been my own worst critic, Radical Acceptance by Tara Brach was really transformative. I’ll admit it, though, it took Tim Ferris to convince me that this wasn’t too out-there of a read before I dove in. Do – I’m guilty of both jogging without always warming up or cooling down and sitting for far too long. As a result, these simple stretches have seriously saved my hips and back. So Tell Me…What’s got you motivated this Monday? Do you know any good zuke recipes? My job is pretty motivating. I usually start around 7-8 and just keep going. Michelle at Sense of Cents does rock, doesn’t she?! One of the coolest bloggers around. If you’d like to increase your exposure to your new blog, Phroogal is accepted guest posters. If you’re interested just message me! Thanks for chiming in, Will! Glad your job gets you going. I’m usually at work by 6:30 or so, but the school day doesn’t start until 7:45. I love being able to chip away at the to-do list before things get too hectic. Michelle’s blog is really motivating. Now that I’ve been out in the personal finance blog world for a week (instead of just lurking! ), it’s been really wonderful to see how many great things people are achieving and how collaborative people are. I’ll definitely send you a message. Thanks! So glad. Your blog truly does motivate me. And your Instagram photos! I’m in! 🙂 Someone actually just told me about cucumber bread. I’m still skeptical, but we have an abundance of those as well, so I might give it a go!